Our suite "Omeshorn” has been lovingly furnished with Austrian antiques and is designed in the style typical of the region’s country homes. 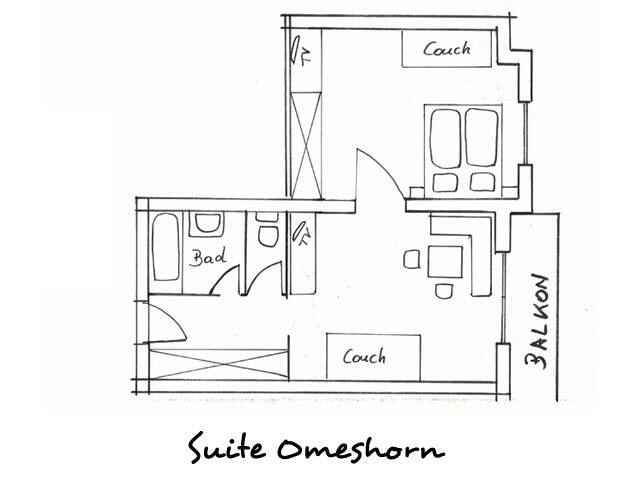 It features a beautifully spacious living room with private south-facing balcony as well as a separate bedroom. 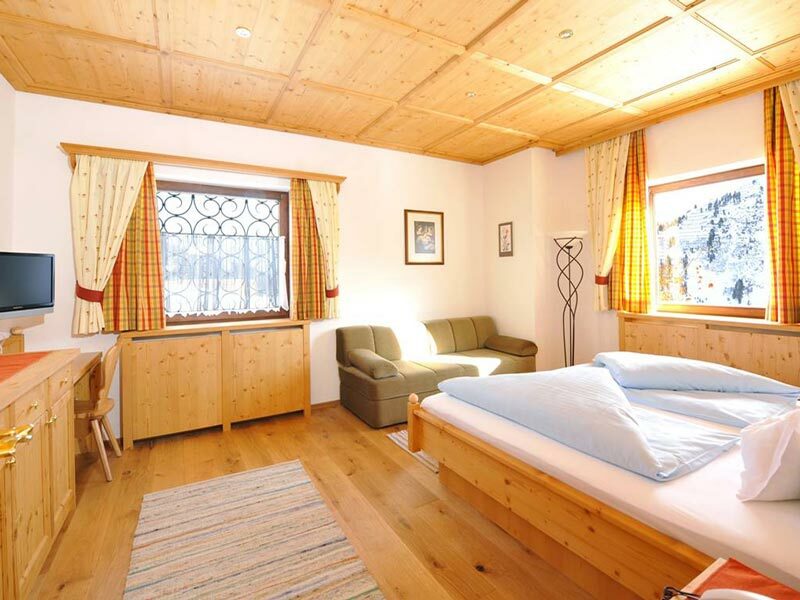 From the bedroom, you have a breathtaking view of Lech, the valley, and surrounding mountain world of the Arlberg! The bathroom is equipped with bathtub/shower. The WC is separate. 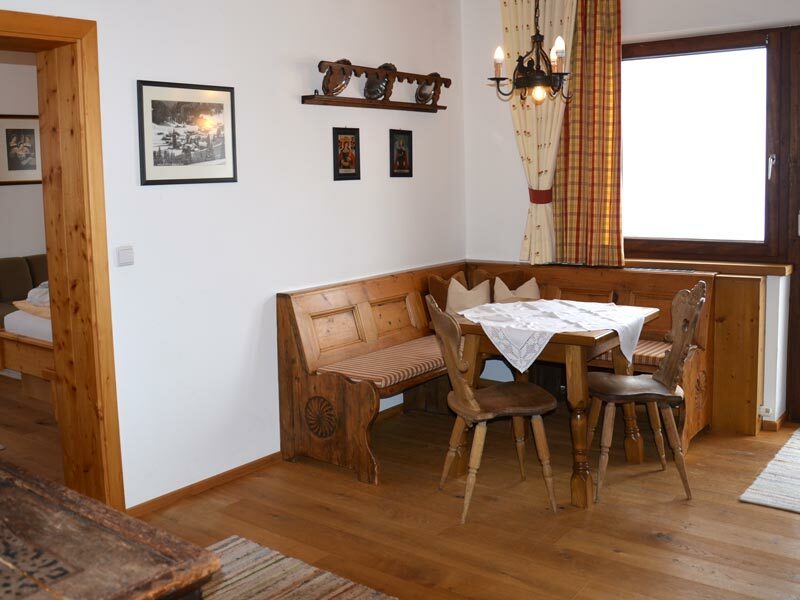 The south balcony of suite “Omeshorn” looks out on Lech, the valley and the mountain world of Arlberg! 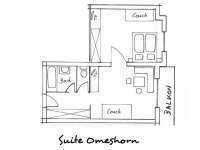 The spaciously designed rooms feature hardwood floors as well as coffered wooden ceilings. Price for 2 persons: from EUR 458,00 per person per day with half board, excl. tax. Price for occupancy from 3 people: from EUR 171,00 per person per day with half board, excl. tax. 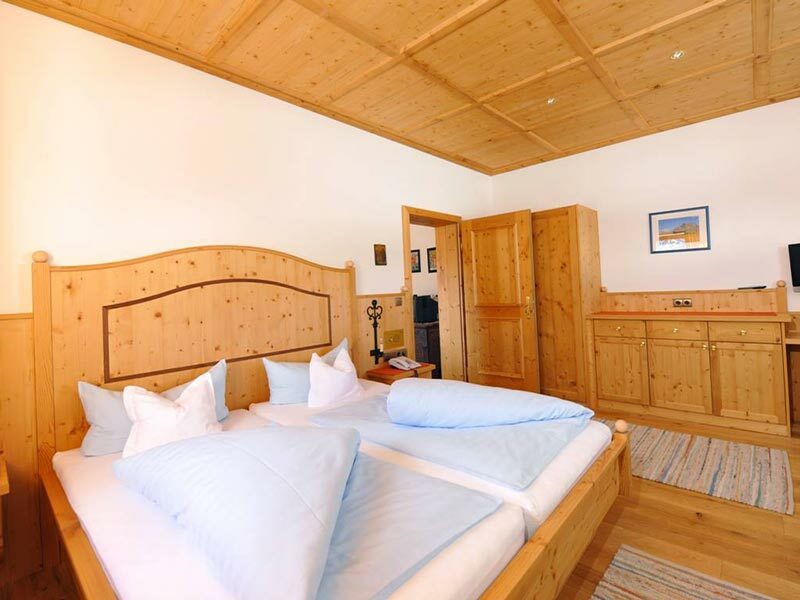 Extra bed in family suite from 4 persons (childs): from EUR 118,00 per person per day with half board, excl. tax. Price for 2 persons: from EUR 394,00 per person per day with half board, excl. tax. Price for occupancy from 3 people: from EUR 144,00 per person per day with half board, excl. tax. Extra bed in family suite from 4 persons (childs): from EUR 108,00 per person per day with half board, excl. tax. Price for 2 persons: from EUR 520,00 per person per day with half board, excl. tax. 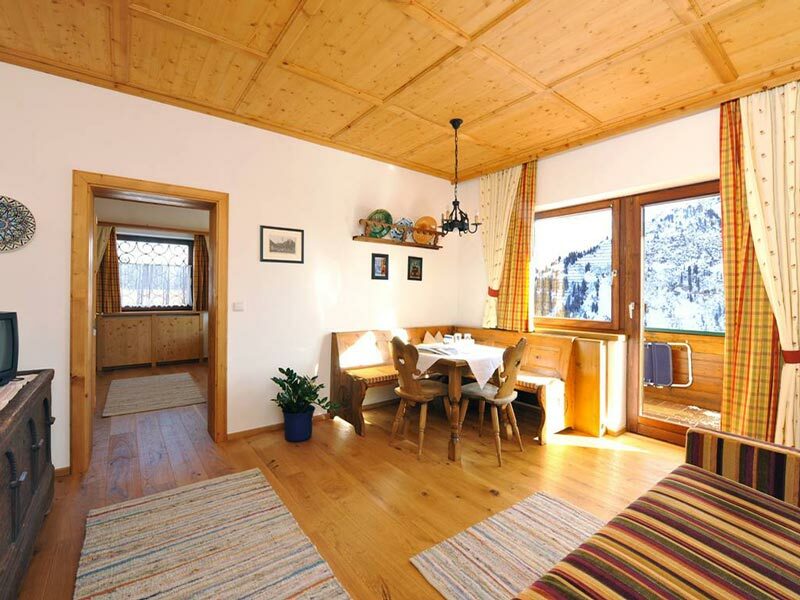 Price for occupancy from 3 people: from EUR 195,00 per person per day with half board, excl. tax. Extra bed in family suite from 4 persons (childs): from EUR 132,00 per person per day with half board, excl. tax. Price for 2 persons: from EUR 538,00 per person per day with half board, excl. tax. Price for occupancy from 3 people: from EUR 201,00 per person per day with half board, excl. tax. Extra bed in family suite from 4 persons (childs): from EUR 137,00 per person per day with half board, excl. tax.